I found this survey on one of the blogs I follow and decided that this would be a fun way to close this year. I will post this survey in three parts, else it would have been really long! This survey is hosted by The perpetual Page-Turner. 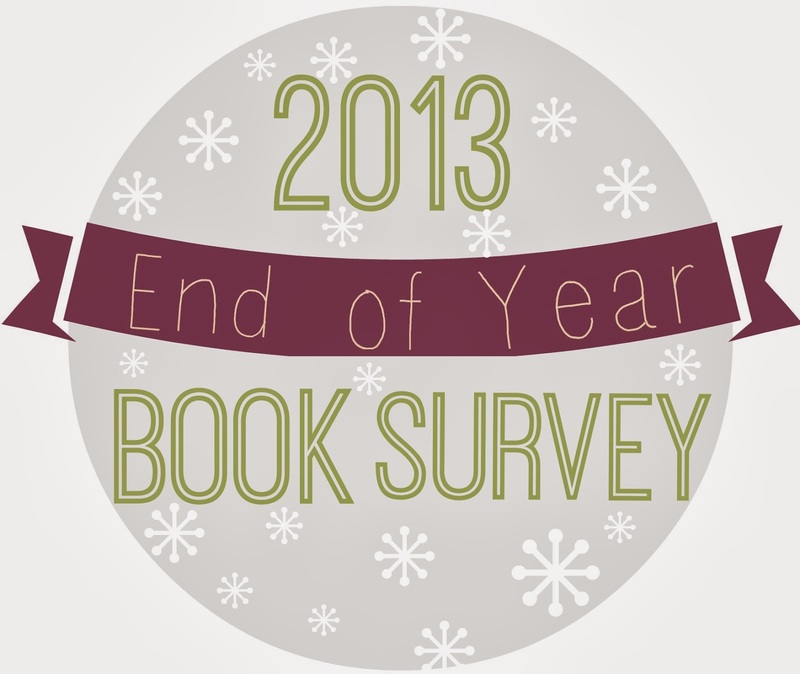 Here are the best books of 2013! Well the best book I read this year is definitely Divergent by Veronica Roth! I also support Indie authors, because they also write great books, the best Indie book of this year for me was Prelude by Kasonndra Leigh, this book was an emotional roller coaster and made me cry on various occasions. That’s easy I was really excited about Hush Hush, I love the cover it is one of the prettiest covers I have on my shelf, but the book was a total let down for me. You can read my review here. There are 2 book that were a complete surprise for me: Jenny Pox by J.L. Bryan and Legacy of a Dreamer by Allie Jean. They blew me away, Jenny Pox turnout to be my first horror and Legacy of a Dreamer (my first ever book tour review) must have been on of the biggest surprises of the year for me, it was so good that I wanted to reread it immediately after I finished. 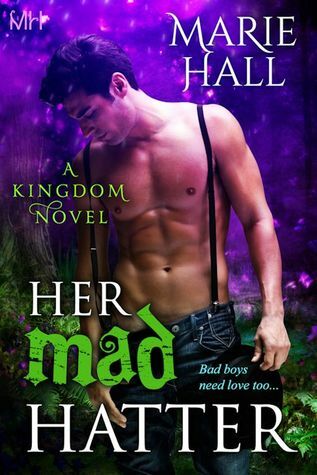 The book I recommended the most was Her Mad Hatter by Marie Hall. And it started a little trend on the GoodReads group I am active in. It was fun to watch other people starting to read it after my recommendation. This is a hard question, almost all the books I read in 2013 were firsts in a series, but I haven’t read the seconds yet. I did discover some great series such as The Caster Chronicles, Jolie Wilkins series and Splintered series (which I really want to get my hands on in 2014!). Jo-Anna Walker! I received an ARC of her debut novel Break Me and I was hooked! I love her writing style and when she asked for people to join her street team I signed up immediately! I had many firsts this year but the book that was way out of my comfort zone is anything with Zombies. But I changed my opinion about zombies when I finished Mortality by Kellie Sheridan now I am craving for more post apocalyptic books. I will definitely read more of those in 2014. Well of course Divergent! I could not put it down! Another one was Beneath The Surface by M.A. Stacie! Loved it to bits! I think I will re-read Leopard Moon by Jeanetta Batista because I really want to continue the series, and it has been awhile since I read it! That will be the 9 year old Starla from Whistling Past The Graveyard. Talking about Whistling Past The Graveyard, it not only had the most memorable character but also was the most beautifully written book I read this year. Well this has been another rough year for me, after I broke up with my boyfriend of 7 years I read a book for a book tour called My Mr. Manny, which seems to be describing my own situation. It had a huge impact on me, because it was really confronting. Uh…. Well again Divergent! I can’t believe I waited so long to get it! Also The Colour of Magic by the great Terry Pratchett was one of those books! Do short stories count? Lol, this is another one of my firsts, short stories, I read about three or four this year 2 stood out: In The Heart of Yesterday by Jo-Anna Walker and All Over You by Emily Snow (I thought I was going to melt into a gooey mess). The longest book I read (had to look it up at Goodreads) was Beautiful Creatures by Kami Garcia and Margaret Stohl with 563 pages. Yes, in Break Me the ending! I thought I was going to die! OMG I wanted to scream and shout throw something against the wall and then again scream nooooooooo not him! And don’t die please! Then I was like why?? Why take him? What first comes to mind are Holder and Sky (Hopeless) even though I haven’t finished this book yet (shame on me I know) but it was a little to much to read for me at the time. The Vampire Academy by Richelle Mead. I read Succubus Blues which was one of my better reads in 2012, then I bought The Vampire Academy and fell in love with Dimitri. Mortality by Kellie Sheridan! Thank you for recommending it Gabby!!!! Uh I think Contemporary Romance and Paranormal Romance/Fantasy are my most read genres. The Mad Hatter! from Her Mad Hatter and Kyran from Beneath The Surface. I will have to go with Bitter Fruits by Sarah Daltry on this one! I read this in one night which is something I don’t usually do. When I finish I looked at the clock and it was 6 in the morning (oops). Uh, took me a minute to think of a fun read, most fun to read was Fire Burn Cauldron Bubble by H.P. Mallory. This book was hilarious! I almost forgotten about it, but it was a really fun read! There were many books that made me cry this year, I cried the most reading My Mr. Manny. But Beneath The Surface, Break Me and In The Heart Of Yesterday all made me cry at some point to! I don’t know if it is overlooked but a book that I really enjoyed and want to recommend to all sporty romance readers who enjoy a strong female lead is Offside by Juliana Stone. 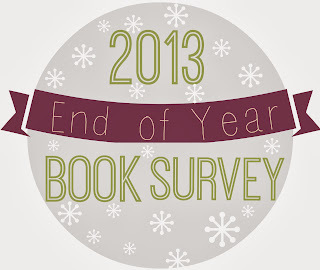 Hope you have enjoyed part 1 of the End of the year survey. Feel free to leave your in the comment section.